Hello! This is my second posting! Yeah! I am really excited about exploring what I can do with this blog. Creating a new blog is so much fun. It's like having new home online. I have too much stuff that I wanna write about, but today I would like to talk about just two things: These birdies and a tutorial on how to make the camera case. I just found these wire-birdies in this shop. Super Cute! Aren't they? They are only 367 yen: less than US$4 each. Unfortunately, they are sold out... One thing I like about Japan is that I can find a lot of things that are so cute that it's hard to resist. Finding pretty stuff does make my life brighter. Ok, let me show you the tutorial. 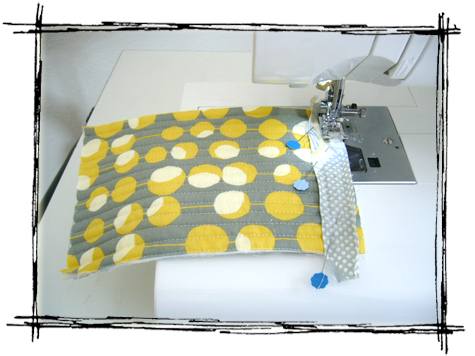 This is absolutely my first time to create a sewing tutorial in English. I might be missing a lot of details... If there is anything not clear, please let me know! The only materials needed are fabric(outer and inner), bias binding(you could make your own or buy one), matching thread, and a button. 1) The first thing is to determine the size of your digital camera to see how big your final camera case needs to be. My camera is about 3 3/4"(width), 2"(height), and 1"(depth), so I cut out one piece of 8 x 5 1/2"fabric from each fabric: one for outer and one for inner. If your camera's size is about mine, you could cut out the same size's fabrics as mine, but if your camera is a lot bigger you might want to make the scale bigger, accommodating with your camera's size. I cut out the batting for the same size+ some extra width and height. 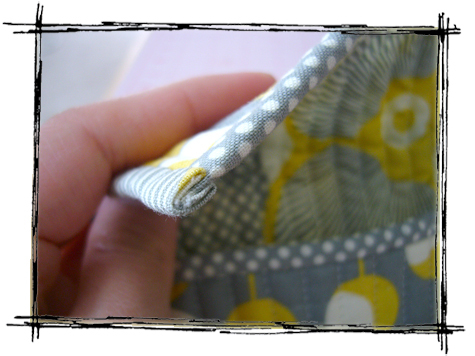 Then, I sandwiched the batting between my fabrics so the right sides of the fabrics are outermost. After pinning the layers together, I machine-stitched like this (the width between the pararell stitch lines are about 3/8") and cut off the excess batting. 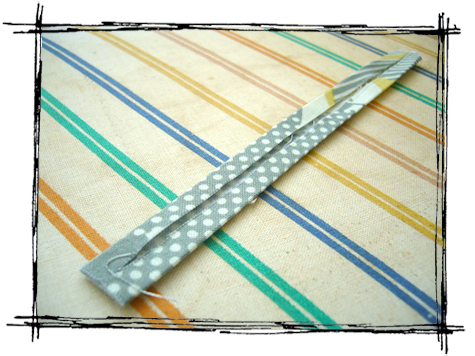 Using a bias tape maker makes it a lot easier and quicker! They should look like this after pressing. 3) Then I attached the 6" bindings onto the width part of the sandwich. 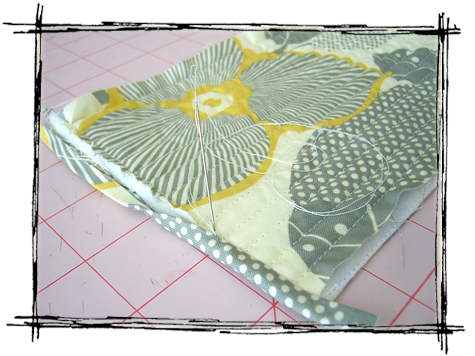 First, open out one turning on the binding and pin it along the edge of the fabric, right side together, then machine stitch along the fold line. 4) Then I folded the binding over the fabric edge to the wrong side, so the edge of the binding is just above the machine stitching. I slipstitched the folded edge of the binding to the fabric, catching up the fabric in the allowance, just above the machine stitching. 5) Repeat this for the other side too and cut off the excess bindings. 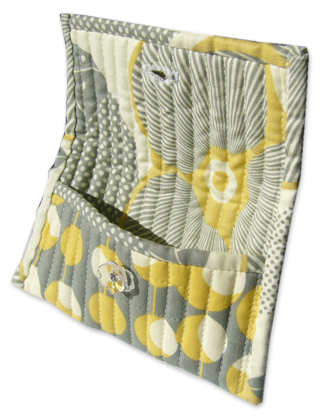 6) The next thing is to do is to make a pocket. I folded the sandwich to make the pocket whose height is 2 1/4" and based it. Then, I attached 9" bindings onto the sandwich. This time, I turned the both ends like this then machine stitched. so that the corner looks nice like this. Your camera case should look like this now. 7) The only things left to do is to sew a button hole and attach a button! This is fairly easy to make and it does give a nicely soft protection for your camera. Pretty to carry with as well! If you make one, please let me know! I would LOVE to see it! Dear friend Ayumi,you are a wonderful person&friend.lovely site that you create.I like your work is perfect.Congratulation. Thanks soooo much for keeping to cheer me up! You are such a sweet girl! You encourage me big time! Thanks my crafty friend! You succeeded! Thanks for your nice thought to give me a comment!! I understand it's quite boring for you so far, but I plan to write about other things besides sewing like maybe a date with Joe or something. I'm hoping that this blog will be a way to connect folks in WA and show how we are doing. Thanks again for your comment! I love your new blog! It was fun to look at your old one, but very nice to be able to read the text on this one. You have done a great job on your tutorial. It is very easy to understand and follow the directions. I am always impressed by the way you put color and patterns together, very artistic. And the quality of your workmanship is terrific, as always! I would like to see some of the projects from your other blog on this one too. I would LOVE to see your crafts too, Kim! Hopefully Joe and I can make it to Yakima this summer and you can show me your recent sewing projects! YOU are the talented one and YOU insipre me all the time!! Thanks for the great tutorial! 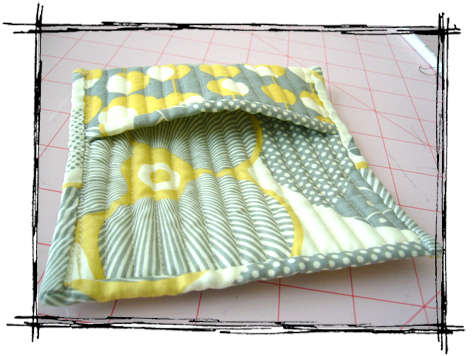 This is just what I was wanting to make for my new camera....a girl can always use another cute bag of some kind! I love your camera case! I have been wanting to make one and yours is the most stylish that I have seen! Thanks for your nice comment! Yes, we are always in need of cute bags! 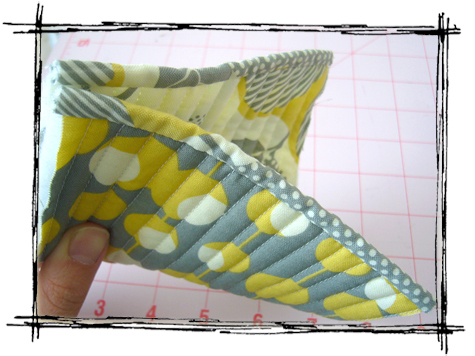 This camera case is super easy to make..Try! I hope to make more subarashi stuff, so please check back! Thanks! Hello! I came to your blog through Craftzine - I hope to one day make that camera case (need to ask my mom how to use a sewing machine first). Love your blog - I just came back from a year and a half stint in Kyoto and loved all the crafty and cute stuff there - very inspring and so tempting! My suitcases were overweight because I decided to come back with things like Hello Kitty Bento boxes and other stuff as well. Thank you for the tutorial. It was very easy to understand and follow the directions. If you hadn't said so, I would have never known that English wasn't your first language. I look forward to more projects! Excellent tutorial! Thanks for the inspiration. Such beautiful fabric! Can you tell me the name of it or where to find it? Wow - you did a great job on this tutorial! I am quite impressed. Congratulations on the new blog, too! Thanks for visiting my blog and letting me know that you came from ceaftzine. I wouldn't have known that craftzine had my link on their blog if you didn't tell me. Kyoto is a very nice place, isn't it? Overweight suitcase...That happens me every single time I go back to Japan.lol. I am visiting Japan this summer. Can't wait! So glad to hear what you said. I am hoping that by doing this blog, I will gain some English skills. I'll post more soon;) Thanks! Thanks for your comment! You are very artistic friend of mine, Cameron. I'm lookiing forward to see more drawings of you too! 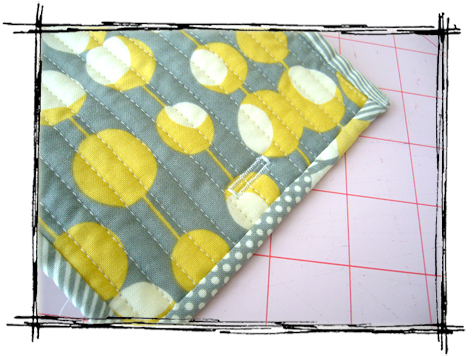 I used Midwestern fabric by Amy Butler. Thanks so much for your sweet comment! I wasn't sure if I was being clear enough so it does make me smile that you think it's clear. Thanks for the tutorial! The camera case is awesome and so is the fabric! This thing is not only pretty but also a stunning creation! Great job! I love it! Can't wait to see more! Neat! And you were featured in PhotoJojo! oh that is super cute!!! i don't think i have the skills to pull it off..but who knows..but i love it..tfs the tutorial! Thanks so much for your sweet comments!! This is not a difficult project so i hope you all try and if you do, I would love to see it;) Thanks! If you make your camera bag, please let me know;)I would LOVE to see yours!! I found your site from Photojojo. Your camera case is inspiring. I can't wait to pull out my fabric and start !! Thank you for sharing your wonderful idea. Thanks for the post. 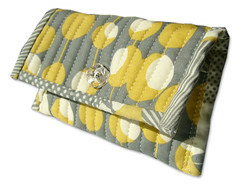 I need a case and was considering making one since I have a stash of fabric and am trying to consume less. I would prefer something original over a basic store bought one anyway. It's always refreshing to see people who are passionate about the things they love. Ayumi your passions seems to be hand crafting and sewing. Mine is photography and nursing. Thanks so much for your nice comments;) Make your original camera case and let me know if you make one+I can see the pics of it;) Thanks! 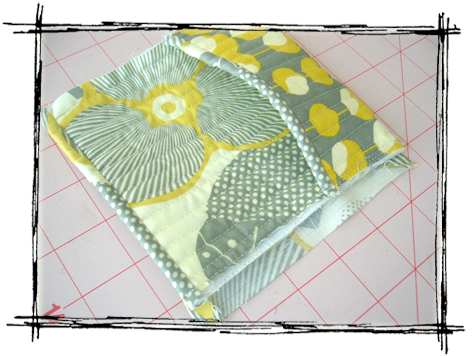 I slid over to your blog via Photojo and really enjoyed your tutorial on making a camera case. I was so intrigued I had to browse around your site a bit and just wanted to let you know you've done a great job on not only your tutorial(s), but also on your blog itself. Very nice. Your tutorial instructions are clear, the photos are sharp and your creativity is hard to hide. Keep up the great work; you inspire me! Oh boy..your comment made my day!!!!!! !Thanks for looking at other things here besides tutorials and complementing! This is a very new blog and I am still trying to renovate my blog in many ways. I love your camera case tutorial! I'm planning to make one for smaller camera, and I'll be so proud to carry it! Thank you, and I'm so glad to have found your pretty blog!!! I'm so glad to hear that you like this tutorial/blog. Enjoy makng it! The camera bag is great but do you think it could be adapted to work for a medium size camera--such as the Sony H9? I don't know how big your camera is, but if your camera is a simple digital camera like a flat one, this bag should work for it as long as you make the base bigger. but if your camera is SLR camera, this might not be a great choice. I'm happy my camera case has your approval. It was fun and easy to make (because of your tutorial, of course). Thanks for making and putting up the link to my blog. Your camera case is really cute!! I finally got a chance to look at this tutorial and I'm planning on making a camera case for my friend for Christmas. I never knew I could make my own bias tape like this! I'm so excited to know this new skill - thanks!!! Thanks for making it and letting me know! Your camera case is awesome and what you said about me on your bog simply made me smile..! Thanks! I'm sure you'll make very pretty camera cases for your friends! Making bias tapes are actually quite simple! Looking forward to seeing what you'll make! I just wanted to say I like your blog and I appreciate the work you put in it. I came over here from a photoraphy website, might have been DPS or something. But I'm not for sure. Anyway, your English is really good, I'd be hard pressed to peg you for a non native speaker. Well done, and have a good day. I love your camera case! It was so simple and only took about an hour! I made mine a little bigger and with Strawberry shortcake material for my toddlers camera! She loves it too. Thanks so much for the great tutorial! thank you so much for this tutorial, my sister is getting one for Christmas. This tutorial was very easy to follow and it really helped my get the hang of it for the first time! 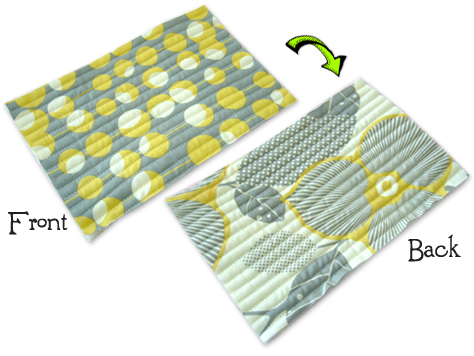 Now that I have made one, I am going to adapt this pattern and make my own! A very cute site! I love this tutorial and plan to make the camera case someday. Great instructions. Simple great, I love that camera case. thanks for shearing. looks easy and nice! i wanna try it but I've a question: which fabric did you use? Because if i use regular fabric is not soft enough and my camera might break! Wow... This stuff you are making is amazing! Keep it up, I have bookmarked your page and I have seen designs inspired by yours... I will try it out!! So cute! I am adding this to my list of projects to make! You really do have the best tutorials. This would be great for my little camera. Thanks! love the fabric pattern. very nifty idea. Great tutorial! I'm excited to see more on your blog! thanks for your wonderful tutorial and i love your site so much! Hope you will post more tutorial sharing! Any ideas for a professional camera case? i love it! do you reckon i could make a big version of it for a laptop? I'm sure you can make a big version to make a laptop cozy! If I were to make a laptop cozy this way, I would make sure to use velcro instead of a little button just to secure the opening. Thank you! 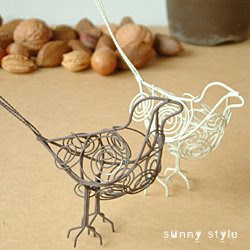 well when I first saw the first picture, I thought this tutorial was about making those metal cord birds, but then I read the title and I knew what this tutorial is about, and I just bought a camera and this will help me a lot, thanks! Yep!! I definitely need a cute camera case and I think this is the one for me!!! Mine is about 5" x 3". It would be great to make it a money carrier. CLEAR AND SIMPLE. FEEL INSPIRED TO GIVE IT A GO. WILL POST RESULTS. As well as convenience, the bag serves to protect the exposed LCD screens and the camera body from scratches. Those easy to operate control knobs that stick up are also more vulnerable to accidental knocks, so a bit of cushioning is important even for a compact pocket size camera. Thanks for sharing. I'm going to try this one. I'm new in sewing. so I hope I can follow your tutorial. Really like your blog. Nice stuff,Thanks for the share I can use this idea to earn money by doing pieces of camera case in different colors and then sell it to have an extra money. Very nice sharing and lovely post.Step by step tutorial is very easy and new to eyes. Very adorable craft.I admire you for your creativity. I really love it, maybe its because i really love bags. Maybe I'll try it some other time. 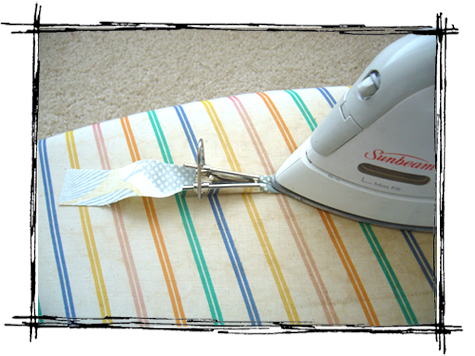 Sewing is the craft of fastening or attaching objects using stitches made with a needle and thread. It is really amazing that we can create a variety of stuff by just sewing a fabric and some threads. Thanks for the great tutorial. I love it! Can't wait to see more! Wow amazing art. I really like it. I will definitely try this. It inspires me to do more with my art skills. Crafting is something which I have always loved when I was small, still now also if I gets time I used to make such items. This time I am thinking to make this, hope that output will be good as yours. Most of time we spend a lot of money paying for stuff we can do at home, but as lazy persons we simply prefer top pay for it. I think I can do this camera case, I understand all steps and actually I'm gonna try to it. wow you've made this with such precision. It looks beautiful. Hope this makes a good cell phone case as well... because I am about to make one. I will keep tweeting your blog posts for you so you can get the readers you deserve! That was really very great trick. I learned it very well and will be trying it soon. Hope to see some more like this in future. Super duper cute! Can this fit an iPhone? That's what I have. Outstanding things by you, person. There are examine your own things before and you are merely additionally awesome. I love exactly what that you’ve received in this article, appreciate just what you are proclaiming and in what way anyone point out this. You’re making this interesting but you just have the ability to maintain it wise. My spouse and i find it difficult to delay to examine much more by you. That is really a superb blog. Excellent factors by you, individual. There are analyze your own factors before and you are merely furthermore amazing. I really like exactly what that you have obtained in the following paragraphs, appreciate just what you are stating and in what way anyone factor out this. You are creating this exciting but you just have the capability to sustain it sensible. My partner and i fight wait to analyze much more by you. That is really a fantastic weblog. It’s refreshing to read a good quality blog post for a change. You’ve made many interesting points and I agree. This has made me think and for that I thank you.